TRAIN SMART, TRAIN WITH MOTO PRO TRAINING! 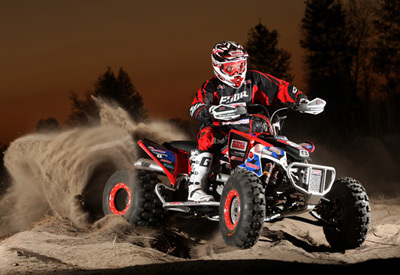 Moto Pro Training specializes in ATV and Motorcycle racers and riders. Our staff is dedicated to providing and developing the best programs possible. These programs are guaranteed to improve your performance. Our training philosophies are based solely off of functional human movement. We approach each and every one of our clients as an individual, assessing and addressing personal issues and goals. With years of hands on training experience, advanced continued education, and personal involvement in these specific sports, Moto Pro Training Programs provide nothing but RESULTS. Join some of the nations top PROS and find yourself having more energy, feeling stronger, and riding better than ever before. Moto Pro Training offers services for everyone! Whether you are nationally ranked pro, recreational racer, weekend warrior, or an enthusiast, we have a program to fit your needs. Our diverse program structure allows anyone of any economic level to benefit from our knowledge and experience. Our client base is nation wide and includes clients of all ages from children up to super seniors. Join the nation’s best and fastest growing training company dedicated to the sport of motorcycling and atving!